This estate sits on 1.99 acres with detached guest house/apartment. 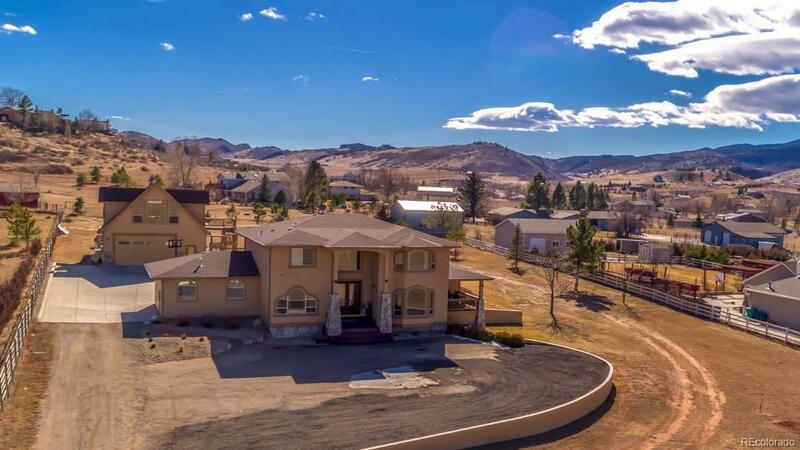 Tucked into the Rocky Mountain foothills yet near shopping, dining, recreation & schools. Interior features main floor office & laundry. 5 bed, 5 bath, 5 car garage plus a detached guest house. Gourmet kitchen, formal dining, 5 piece master suite, spacious bedrooms, finished basement, wet bar, safe room, gym & large family room. Call for a detailed list of features, a floor plan or to show.